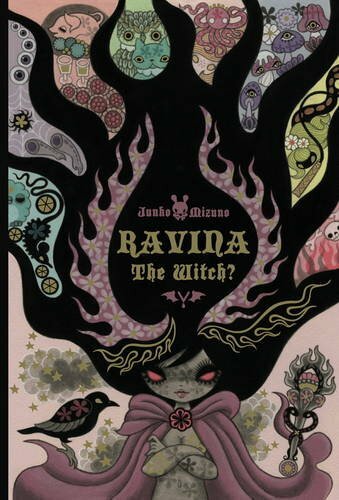 Even if you aren't regularly a fan of Junko Mizuno, I thought you might like to check out the new Ravina the Witch? book anyway. "Once upon a time, on the coast of a tiny European country, there was an enormous cloud of toxic fumes. In this cloud lived a young girl named Ravina. And she is about to be unleashed on the human world!" 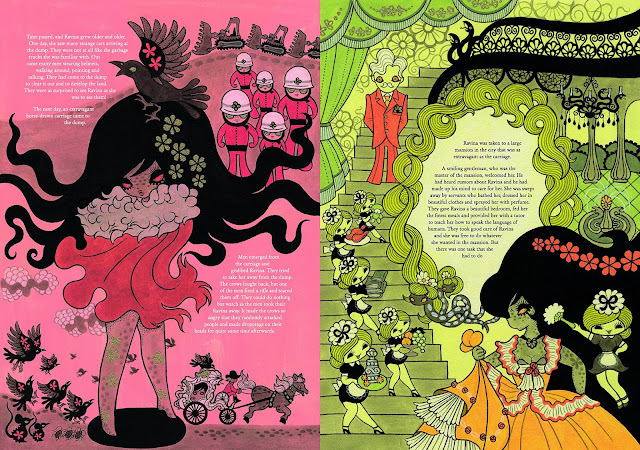 "A bewitching and beautiful tale of an orphan girl who was raised by crows in a trash heap. One day, a dying witch gifts her with a mysterious magic wand and her life changes forever! Now, the human world is hers to play with... Or will this land of fear and corruption prove too much for the fledgling witch? In a time of witch hunts, Ravina must have her wits about her!" 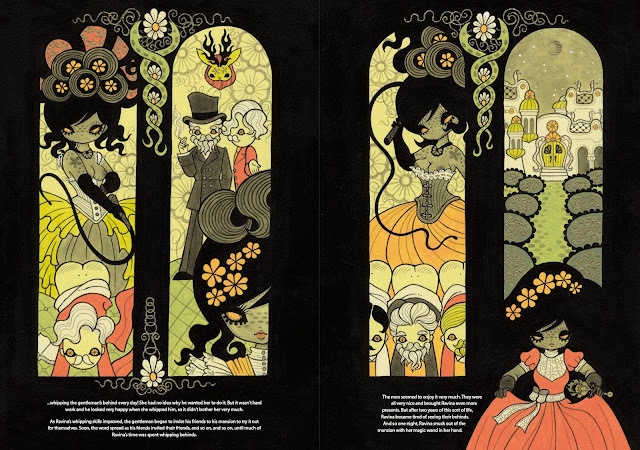 I can't wait to read this lavishly illustrated and curious book!